Please bring your drivers license or passport. Please bring keiki’s birth certificate or passport. Please contact Arianna at 808-893-2124 or info@hawaiiancanoeclub.org with any questions regarding registration. Join us on March 22, 2014 at 11am for our 2014 Season Kick Off Potluck! If you are curious about our programs or facilities, come down and meet the team. We won’t be paddling, just “talking story” and getting excited for the 2014 Regatta season! There are also NOVICE paddling practice on Mondays & Wednesday at 5pm. This is for adults who have never raced before but are interested in learning the sport and racing competitively. This year’s Pailolo Challenge was in dedication to a great Hawaiian Canoe Club paddler, coach and much more, Rick Nu’u a beloved husband, father, brother and son. Everyone that knows Rick was touched by him in some way, he gave his heart and his energy to everyone around him. We are happy to announce AlohaNuu.org, an online tribute to share pictures and stories about Rick. Not only that, but you can win a brand new Ehukai, Storm or Scorpius XM/XS!! Every $5 donation is another chance to win new canoe and a way for us to come together to support Rick’s ohana, wife Zoe and 2 daughters, Tia and Kaena. 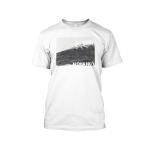 You can also purchase a T-shirt if you like, a high quality and comfy shirt with photo of Rick paddling his OC1 at Jaws in Maui. Please help us and the cause by sharing the website with your email list, friends, family, clients, customers, whoever you might know that can help and be part of this effort. The lanes have been drawn. Now it’s time to race. See you Saturday, August 3 at Hanalei Bay. The first race begins at 8:15am! Our excursion to Moloka‘i runs from Sunday, June 9 to Tuesday, June 11. Please drop off you keiki’s ‘ukana (limited to one bag) at the Hale by noon on Thursday, June 6. We recommend packing ‘ukana in three 3M trash bags to keep it watertight or purchasing a dry bag from Tri Paddle or Sports Authority. Please be sure to properly label all of your keiki’s ‘ukana. NO KAMALI‘I PROGRAM. Keiki can hang out until practice or be picked up. Purpose: To provide financial assistance for higher education to current high school graduates of Maui County. Eligibility: Must be a Maui County resident and have received a State of Hawai’i high school diploma this academic year. Be an active MCHCA Club member for at least 2 years. The 2013 Regatta Season is here! Please call the HCC office at 893-2124 or email info@old.hawaiiancanoeclub.org if you have any questions. All novice A, open, and master 40 men are encouraged to attend a program meeting on Wednesday, March 13 at 6:00pm at the hale. Head Coach Diane Ho will facilitate discussion on the direction of the program. Twenty-one paddlers and four chaperones are making the journey north to Calgary, Canada to represent Hawai’i in the International Va’a Federation Va’a (Outrigger) World Sprint Championships. The group has raised over $35,000 for their 10-day trip. The site venue is located in North Glenmore Park. Races take place on the Glenmore Reservoir, one of the City’s main drinking water supplies. There are no power boats allowed other than the Glenmore boat patrol and coach boats of the Calgary Canoe and Rowing Clubs. Competition begins Saturday, August 11 with the V1 and V12 division. Unlike the OC1 canoes most Hawai’i residents will recognize, the V1 or one-person va’a, does not have a rudder making them a more challenge craft to paddle. Representing Team Hawai’i in the V1 portion are Kahili Novikoff, Mikaela McDaniel, Kaulu Luuwai, Mogul Luuwai, Matthew Meyer, Maleko Lorenzo, and Tim Lara. HCC keiki will also participate in V6 events in the 500 meter and 1000 meter distances. Other paddlers include Makolea Aikala, Kellen Bean, Lihau Higashino, Noah Katz, Flo Michelier, Palekana Pamat-Hett, RJ Crampton-DeMello, Kauanoe Vanderpoel, Kamaile Lee, Mehana Fisher, Alexis Smith, Mikela Wesson, Lilinoe Bal and Tianna Yonemura. Paddlers attend 6 different schools in Hawai’i: Baldwin, Kealakehe, Kamehameha Maui, Kamehameha Kapalama, King Kekaulike, and Seabury Hall. Hawaiian Canoe Club has sent paddlers to five previous Va’a World Sprints in Fiji, Australia, Tahiti, Hilo, and New Zealand. The group has already begun fundraising for the 2014 race in Rio de Janeiro, Brazil.